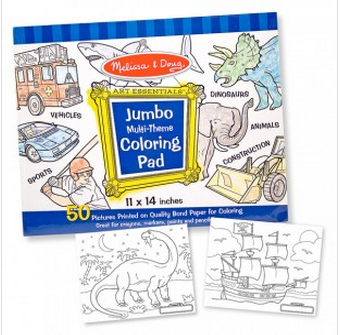 There are a ton of fun Melissa and Doug items on sale right now from Totsy. I can see a lot of outdoor things in particular which are my favorites- stuff for the sandbox, watering cans, bubble buckets…. My kids would love this stuff! I checked Amazon and many of the products are pretty comparable in price so this isn’t a huge discount but I do think these prices are much better then what I have seen in stores. The Bubble Bucket for example I have seen at Barnes and Noble for $19.99 and Totsy has it for $11.99. Amazon has the turtle one for $10.80 and these little buckets are really cute in person. So head over to Totsy to take a look and once you see what you like you might just quickly cross check Amazon to see that you have the best price. When I added items to my cart and started checkout- Totsy gave me an extra 20% off so hopefully you get that same little deal. Shipping from Amazon is free with Prime or a $25 order. For Totsy you can get free shipping on your first order. PS: The quality won’t be nearly as good but the Target Dollar Spot has lots of cute outdoor things right now too. You can always get one or two nice things from Melissa and Doug and mix and match with Dollar Store or Dollar Spot items for a really great gift.